For a few years now we’ve been flirting with the idea of partnering with a nautical event that would give us the opportunity to push the performance limits of Candock’s floating docks. Early in 2017, Stab Magazine, the reference in terms of non-conventional and extreme surfing, approached us to collaborate on a bold event involving a Candock product that would be used as a game platform to accomplish an unprecedented surfing experience. While the nature of the event met Candock’s deep moral values, it is because of the quality and robustness of our products that Stab Magazine chose to partner with us; that and our authenticity, expertise and the determination with which our young team puts all its energy into continuously testing the limits of nautical activities. 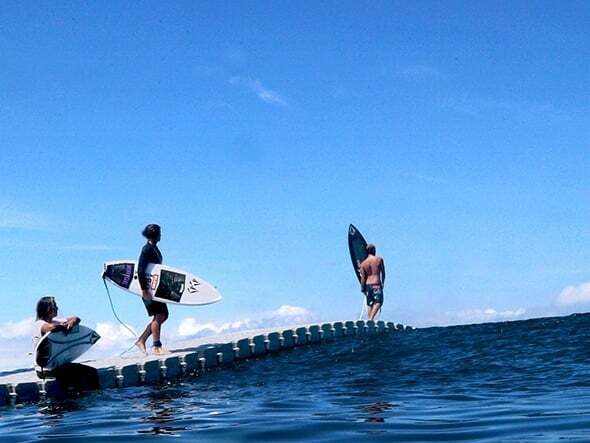 Produced as a publicity stunt to increase the popularity of the sport of surfing, its athletes and the philosophy that it exudes, the event was meant to be a meeting of the best surfers in the industry, but also an opportunity to bring the surfing experience to a whole new level. 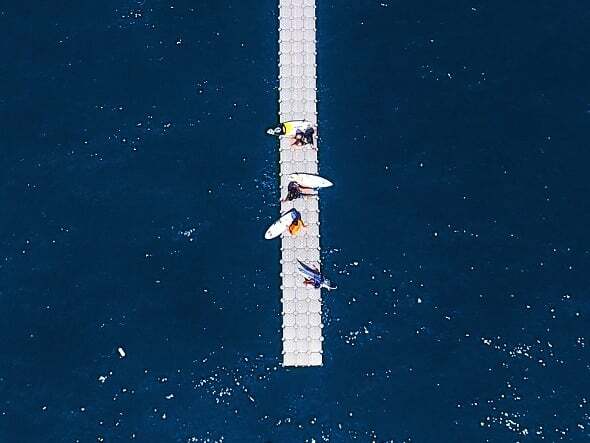 Celebrities including Noa Deane, Ozzie Wright, Balaram Stack, Imaikalani Devault, Yago Dora and Mitch Coleborn volunteered to experiment a new way of catching their favourite waves: from a floating dock judiciously held in place and perfectly mirroring the motion of the waves. 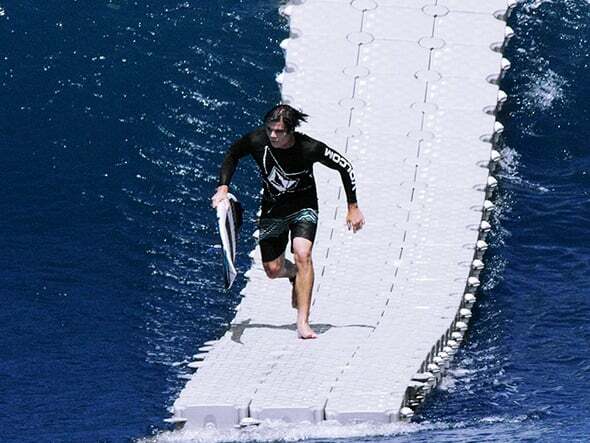 The combination of Candock’s technical expertise and products, and the Stab Magazine team’s know-how turned this daring sporting challenge into an astonishing accomplishment for the surf world. A unanimous success, Stab Magazine was amazed to witness the robustness and resilience of the Candock system under such conditions, knowing far too well the power of a wave; Candock would like to call attention to the level of knowledge and resourcefulness deployed to coordinate and achieve such a stunt. While no one can predict when another such event may take place, we are convinced that the partnership initiated by Stab Magazine has created a unique precedent in the industry. The best is yet to come… the proof is in the video!